against North Korea's intercontinental ballistic missiles. 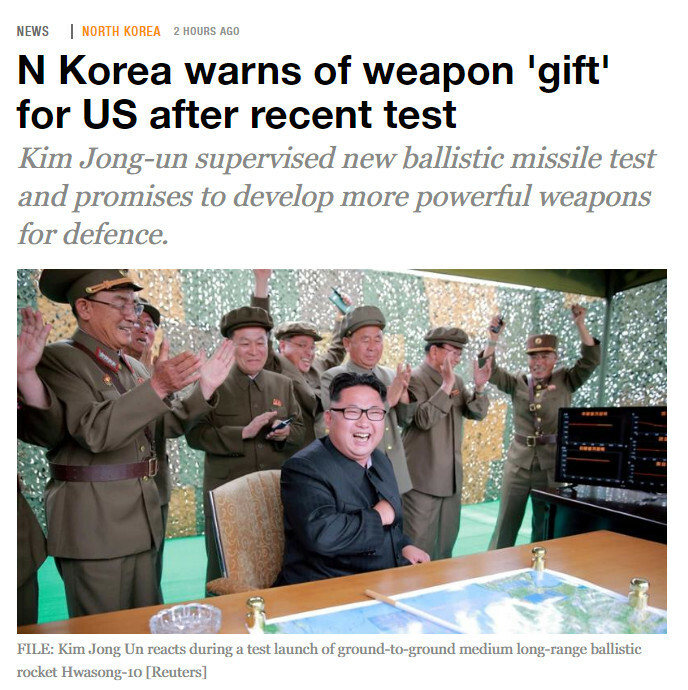 At about the same time, the English website of AL-Jazeera reported that North Korean leader Kim Jong-un has promised bigger "gift packages" following Pyongyang's latest missile test, which is a statement that ratchets up already high tensions. Kim supervised a new ballistic missile test on Monday, controlled by a precision guidance system, and ordered the development of more powerful strategic weapons to defend the country against the US, state media reported. Kim said the reclusive state would develop more powerful weapons in multiple phases. "He expressed the conviction that it would make a greater leap forward in this spirit to send a bigger 'gift package' to the Yankees" in retaliation for American military provocation, KCNA quoted Kim as saying. 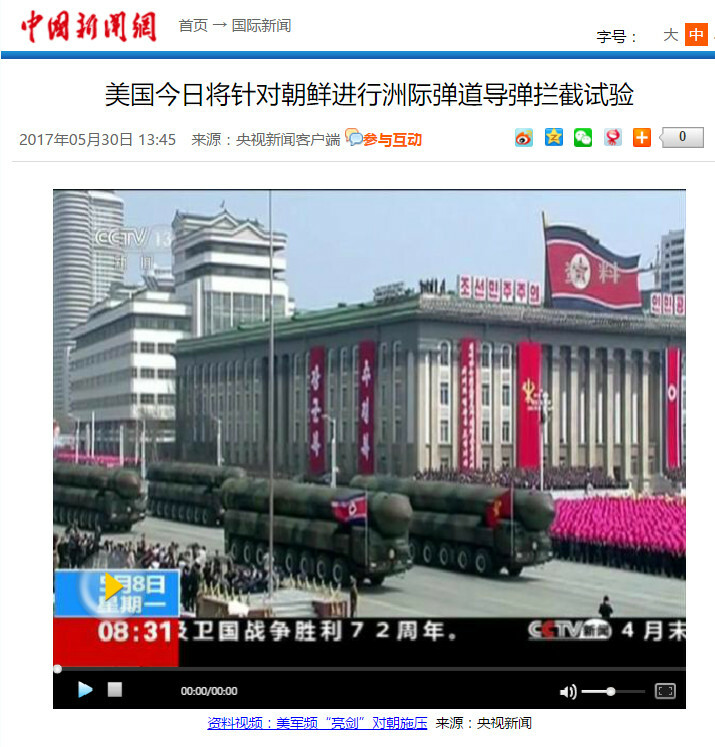 The missile launched was equipped with an advanced automated pre-launch sequence compared with previous versions of the "Hwasong" rockets, North Korea's name for its Scud-class missiles, KCNA news agency said on Tuesday. 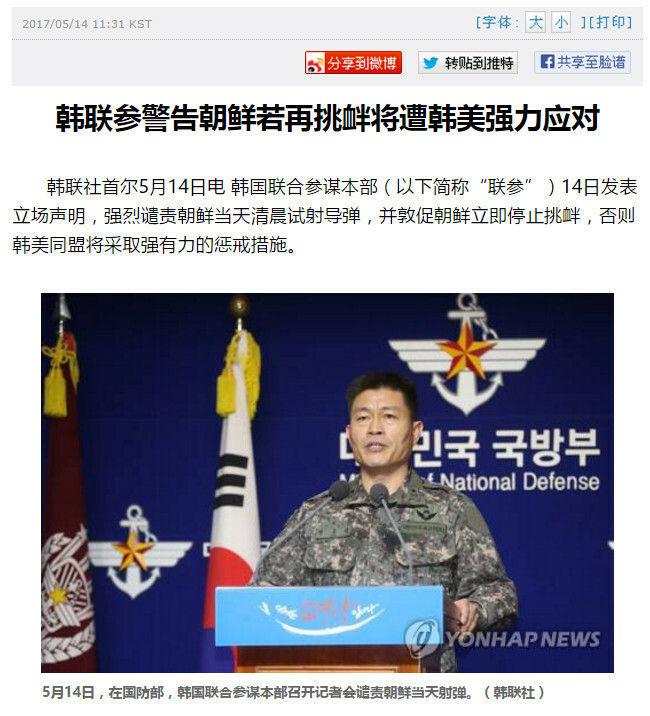 That indicated the North had launched a modified Scud-class missile, as South Korea's military has said. Al-Jazeera, English headline on May 30, 2017. This morning, North Korea carried out its "weekly missile test". test launch of what seems to be a Scud missile. 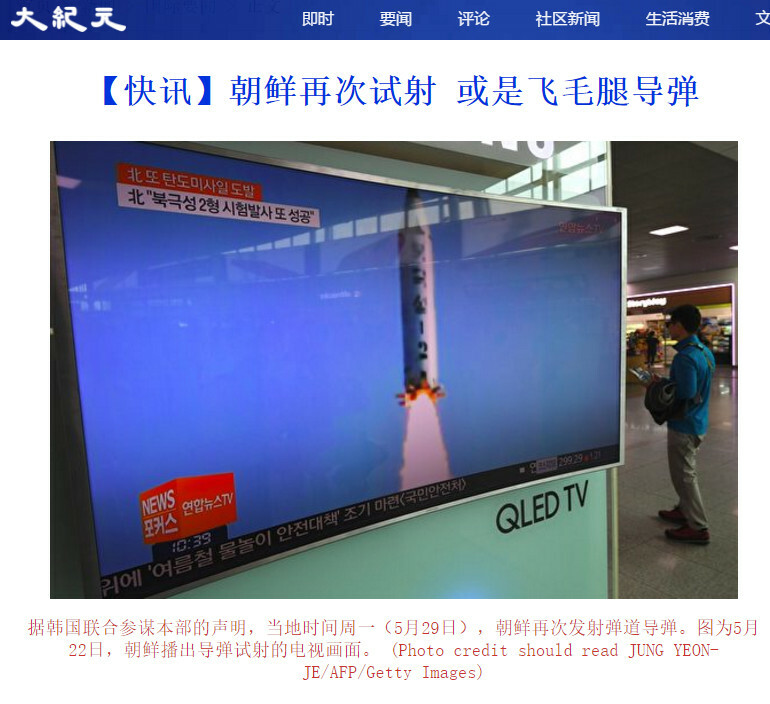 It's another test launch after the May 22 test and which is shown on the above photo taken by a South Korean photographer. 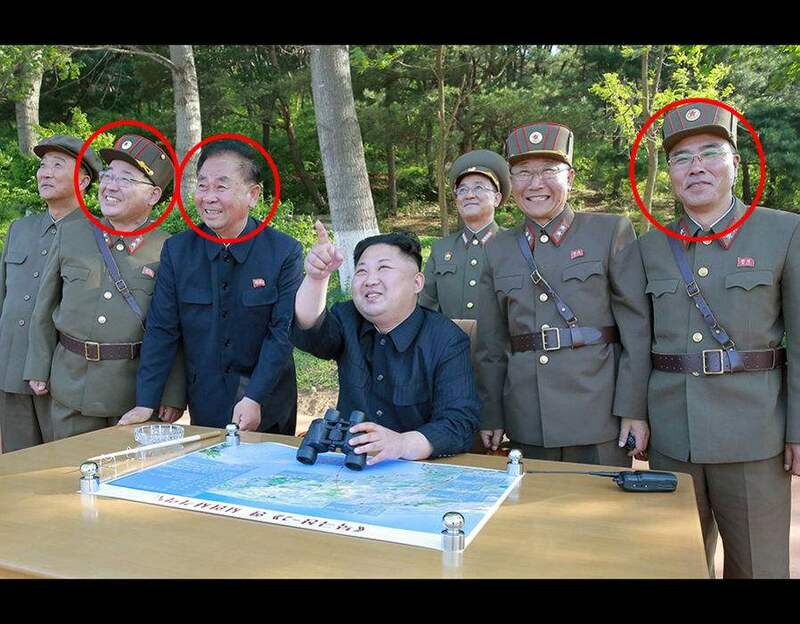 The Trio behind North Korea's Missile Program. Above: Kim Jong-un inspects the intermediate-range Pukguksong-2 ballistic missile at a launch test with Kim Jong Sik (2nd L), Ri Pyong Chol (3rd L) and Jang Chang Ha (R). Ri Pyong Chol is a former top air force general and now acting as a deputy director of the Workers' Party Munitions Industry Department. 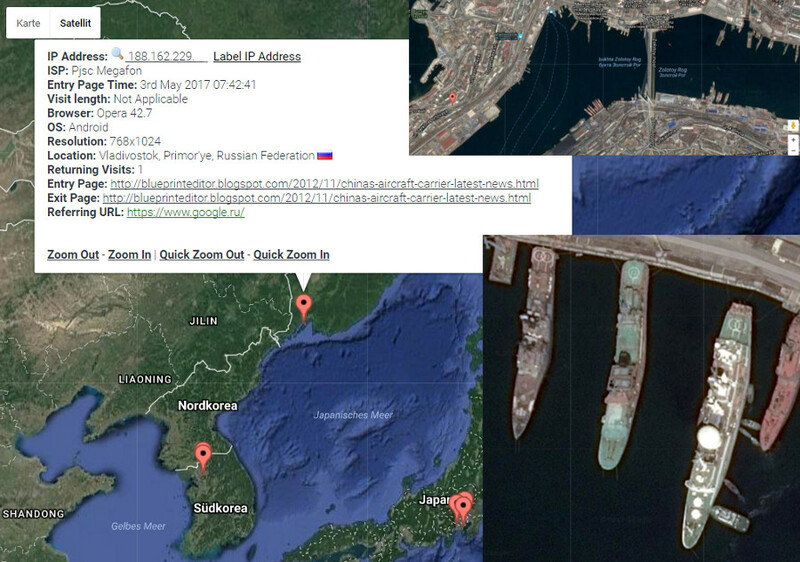 Born in 1948, Ri was partly educated in Russia and promoted when Kim Jong Un started to rise through the ranks in the late 2000s. He seems to be "the party's guy" in North Korea's missile program. 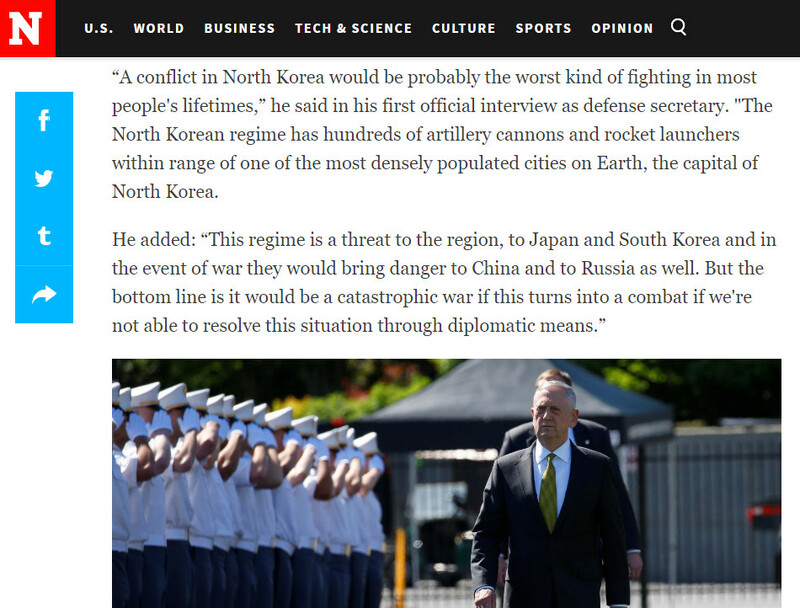 - Kim Jong Sik is a veteran rocket scientist and Jang Chang Ha is the head of a weapons development and procurement center. Here are the latest news on another breathtaking chapter of Trump's presidential rule. Trump's contacts with FBI Director James Comey break longstanding precedent. White House will NOT reveal if secret FBI Comey tapes exist after Donald Trump's tweet. The Trump administration has refused to reveal if secret recordings of conversations between the President and former FBI director James Comey exist after US lawmakers threatened to force their release. By the way, the location of Chestnut Street where all the trators should be lying is a reminder of an old blogspot of mine that is dealing with U.S. spying on its allies. 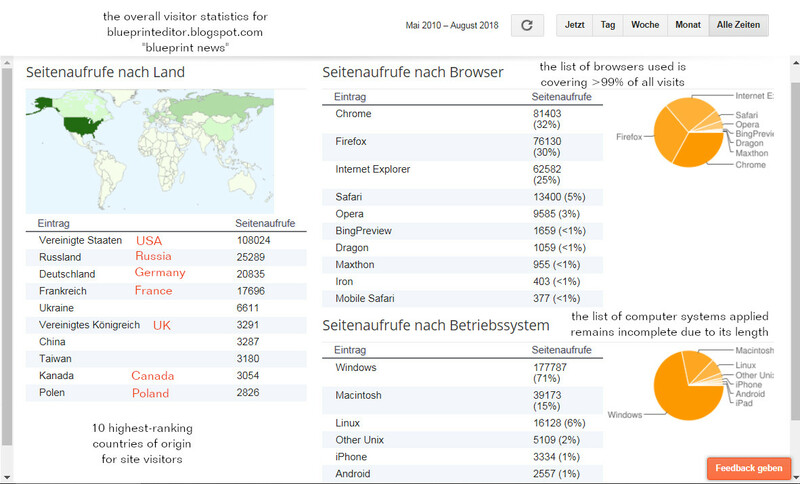 Some visitor to "blueprint news" and who came from Toledo, Spain, brought it to my attention again. Latest News: North Korea again carried out a missile test ! 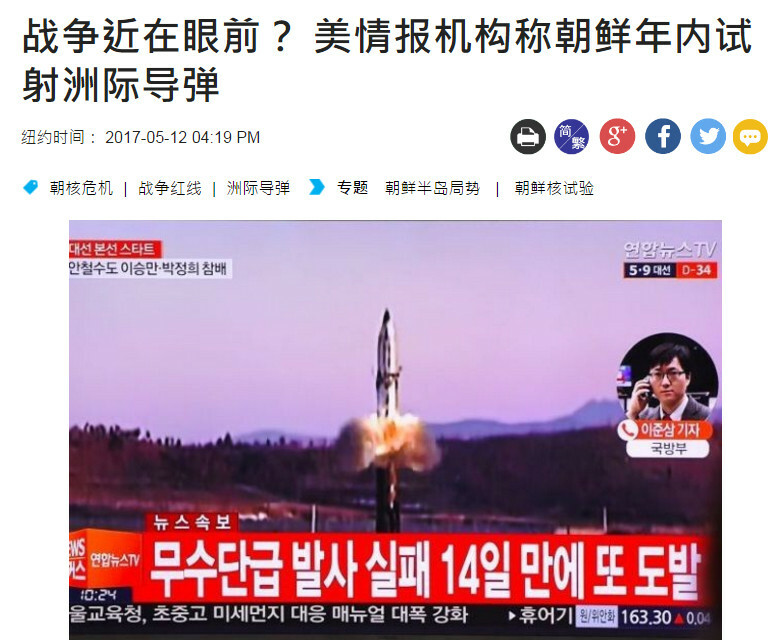 According to official South Korean sources, North Korea should have launched a ballistic missile this morning at 05:27 local time from its North Pyongan Province 평안북도 / 平安北道龟城. The missile should have followed a 700 km trajectory. S Korean president Moon Jae immediately summoned officials from the relevant departments for a meeting of the National Security Council. 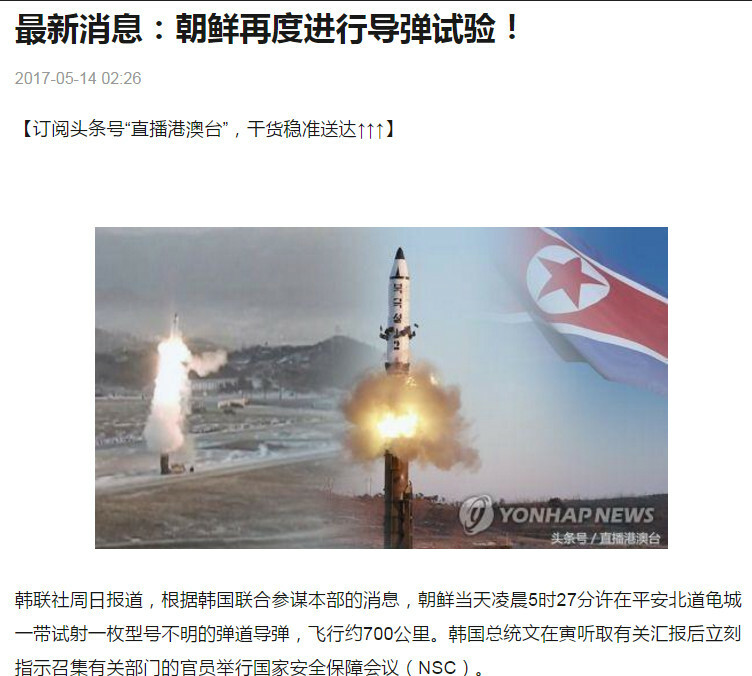 and forceful reply by South Korea and the U.S. in case it provokes again. North Korea will test an intercontinental missile within a year. Only some hours ago, the Trump administration declared its intention to arm Kurdish units in their efforts to reconquer the Syrian town of ar-Raqqa from ISIL (Daesh) which is their most important stronghold after the Iraqi army earlier regained essential parts of Mosul. This is going to provoke a harsh Turkish reaction as Turkey's president Erdogan already warned the U.S. to support Kurdish fighters. It should be noted that ar-Raqqa is located far away from traditional Kurdish territory. 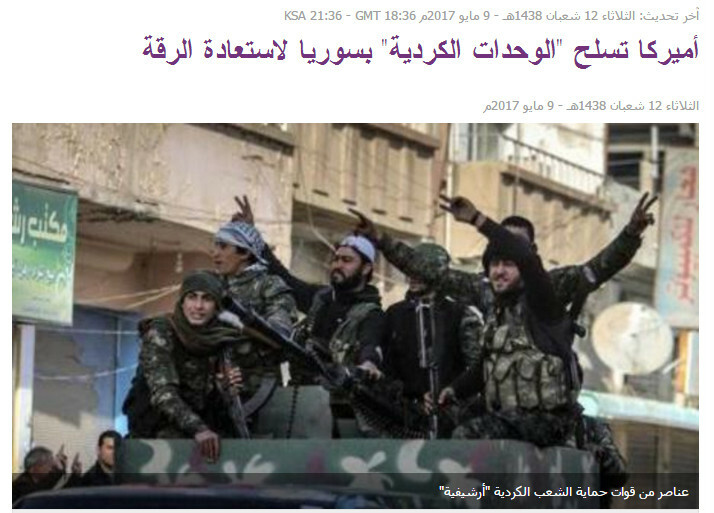 The U.S. are arming "Kurdish units" in Syria to reconquer ar-Raqqa. On Tuesday [May 09] the U.S. department of defense (Pentagon) said that president Donald Trump authorized the arming of Kurdish fighters in Syria "as a measure necessary to ensure a clear victory" in the attack intended to reconquer the town of ar-Raqqa from ISIL organization. 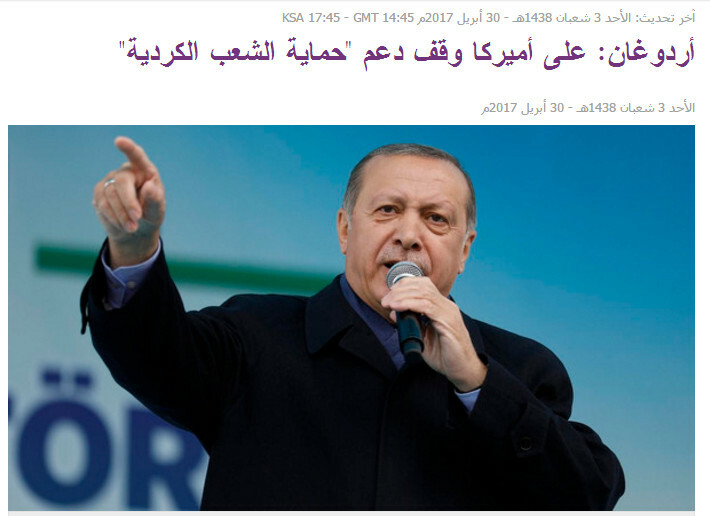 Erdogan to America: Stop supporting the "garde of the Kurdish people". North Korea installs new base for submarines able to launch ballistic missiles. Question: Today the U.S. declared the antimissile system THAAD which is deployed in South Korea as being already fully operational. 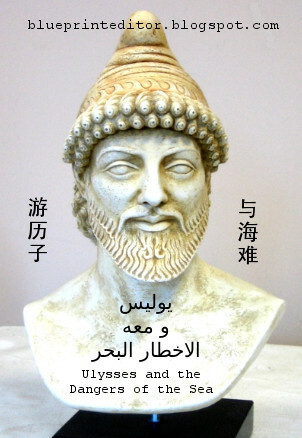 What is China's answer to that ? 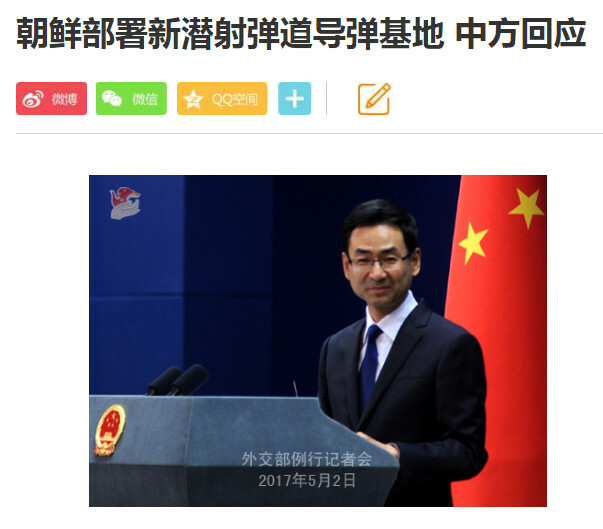 Answer: As to the question of the THAAD antimissile system, China's position is unusually clear-cut and firm. We are opposing the U.S. deployment of a THAAD antimissile system in South Korea, and we urge the concerned sides to immediately stop the deploying process. At the same time we firmly take the necessary steps to defend our interests. Terminal High Altitude Area Defense (THAAD), formerly Theater High Altitude Area Defense, is a United States Army anti-ballistic missile system designed to shoot down short, medium, and intermediate range ballistic missiles in their terminal phase using a hit-to-kill approach. 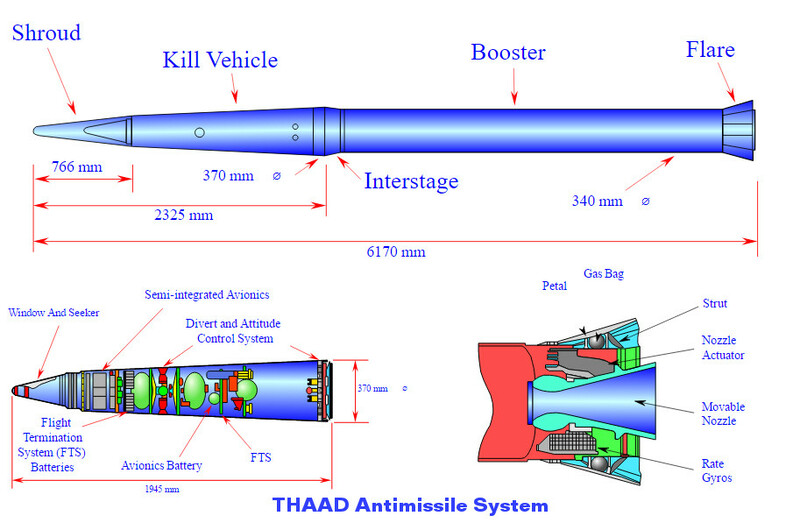 The missile carries no warhead, but relies on the kinetic energy of impact to destroy the incoming missile. A kinetic energy hit minimizes the risk of exploding conventional warhead ballistic missiles, and nuclear tipped ballistic missiles will not detonate upon a kinetic energy hit. 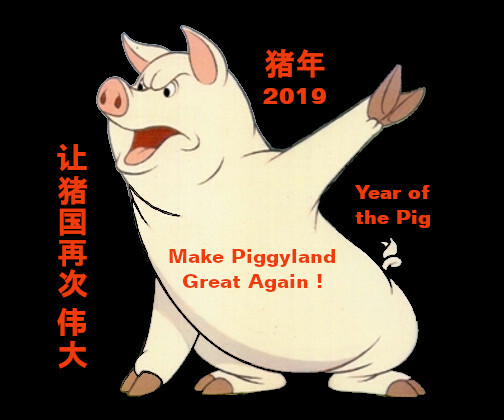 The Chinese reaction comes shortly after western sources reported the missile-defense system had gone into operation in South Korea last week as a protection against North Korean short and long range missiles. More on NY Times: U.S. Antimissile System Goes Live in South Korea.